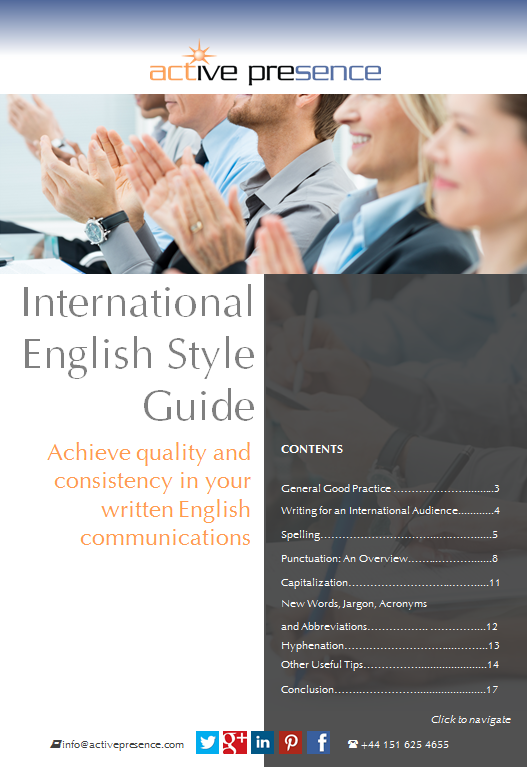 Thank you for requesting a copy of our expert guide ‘International English Style Guide’. You can view and download your copy now by clicking on the cover image. You may also be interested in downloading the ‘How to Speak Well in Public’ guide, which outlines eight golden rules for public speaking. These tips, together with your international English content, will help you engage your audience and project a truly professional business image.